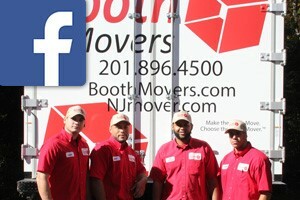 As the most trusted of all New Jersey business moving companies, Booth Movers understands the level of quality and professionalism needed for a successful business relocation. Since the 1940s, our New Jersey business movers have been providing comprehensive commercial and corporate relocation services throughout Bergen County and New Jersey. As a member of the American Moving & Storage Association and the New Jersey Warehousemen & Movers Association, our BBB-accredited business has the experience and expertise that you can trust to make your business relocation a seamless process from start to finish. Minimizing company downtime, staying on budget, and causing as little disruption to your employees as possible are all key factors in a successful business move. At Booth Movers, we offer free, on-site estimates and superior management support throughout the process to reduce the stress of your business relocation. Our New Jersey business moving company is certified with a ProMover status, and as a trusted agent for Atlas Van Lines we have the highest-quality support and equipment in the industry to streamline your business move. Whether you are moving your small office across town or need to coordinate an international corporate relocation, there is no better choice than the New Jersey business movers at Booth Movers! From start to finish, we guarantee that you will receive the highest-quality professional service at a price that suits your company’s budget. Office Moving – Booth Movers offers comprehensive office moving services that can include office furniture disassembly and reassembly at your new location. Home Delivery – To best assist our commercial clients, our New Jersey business moving company offers dependable, on-time home delivery services. Employee Relocation – To make your employee’s transition to a new home a seamless process, inquire about Booth Movers' expert employee relocation services! As the premier choice for New Jersey business moving services, Booth Movers is proud to help our commercial clients with all of their relocation needs. To find out more about how we can help you with your next business move, simply give us a call or fill out our online form for a free, no-obligation moving estimate!